blogging in spurts again. hm. yes, it’s been a while since I blogged. and a bit has happened in the interim. 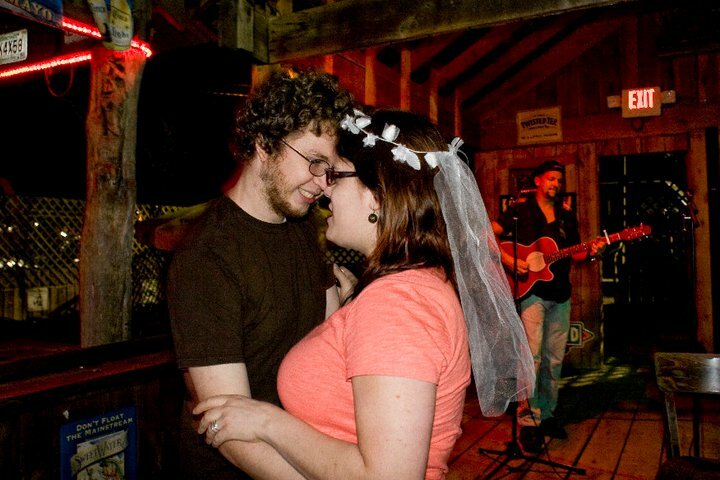 last I wrote, we had gotten our marriage license and our rings. that Friday (which would be Oct 1), we went back to the County Clerk’s office and had the actual ceremony (performed by John Arriola himself!). 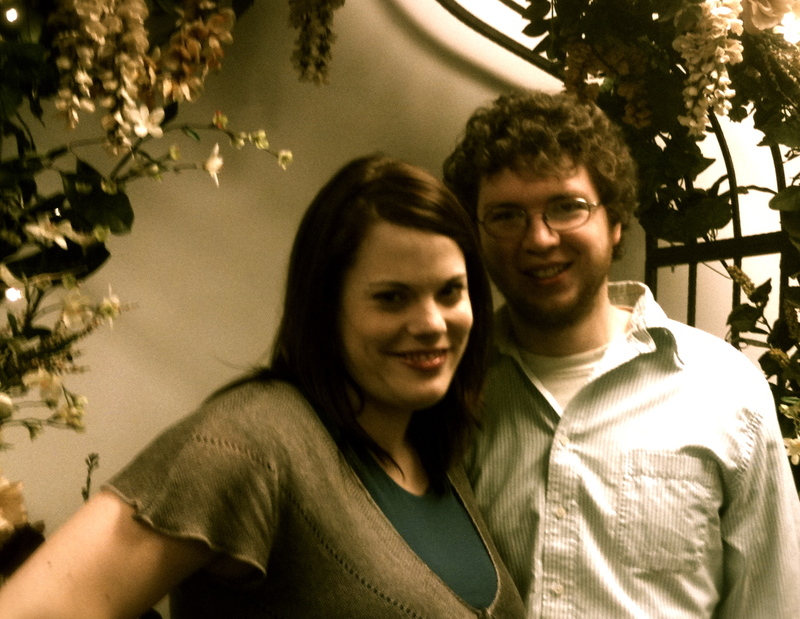 the lady who was there to help and take pictures took a bunch of pictures of us… but here’s one. so after getting married, we went back home and took a nap. after the nap, we had Thai for lunch (which happened to be around 3:00 I believe)…and I don’t think we did much after that. exciting wedding day, eh? we threw ourselves a party the weekend after. we had it at the Brewhouse West and about 20 or so people showed it. good times were had by all, and our tab ended up being cheaper than we imagined (since we offered to buy everyone’s first round) either because Wendy, our bartender, likes us a lot or because she was totally trashed from the night before. I’m sure both played a role. afterwards, a bunch of people came back to our house where we played Taboo and tried to play a little Simpsons Scene It (but that game didn’t last very long since it’s kinda hard unless you watch the show religiously). 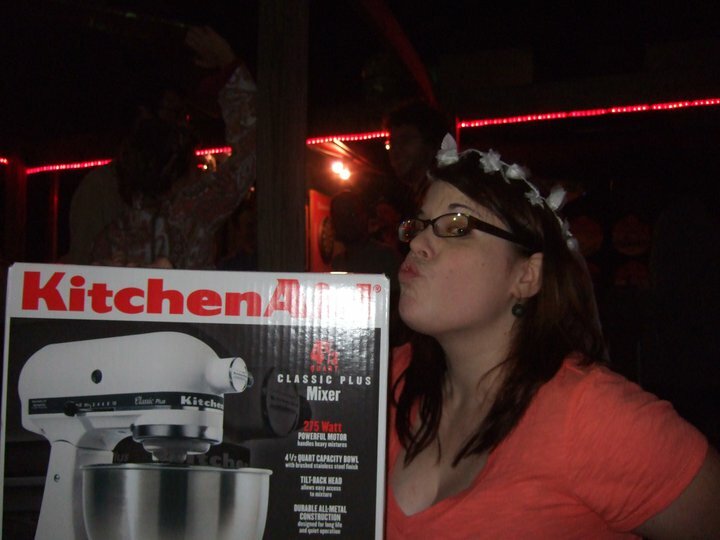 Dawn and Kyla (and maybe some other friends) chipped in to get us a Kitchen Aid!!!! here’s a picture of me with it. I don’t look so great, but hey, I was excited. 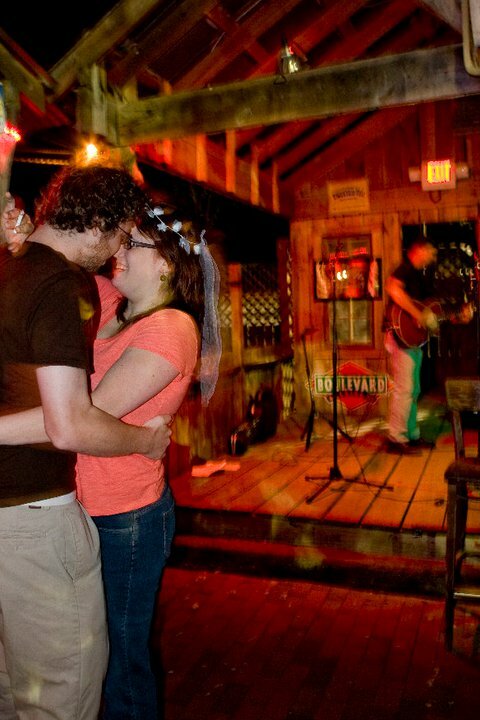 there was a band playing on the patio this night, and Matt decided that we should dance. or maybe somebody else encouraged him to do it and he thought it was a good idea. since neither of us dance, it mostly turned into a good photo op. Dawn brought me the veil, by the way. I’ll probably keep it for the scrapbook…which I actually intend to compile. Well, since Saturday, not too much has happened. Matt’s still working nights and getting off at 2am this week, though he does have Friday off in addition to the weekend. I have to work this weekend, but next we’ll be going to Knoxville for our more formal reception which I’m also excited about. many more people who I have not seen in a long time will be there. it will be a good time. today I went to the doctor because I’ve had slight headaches for about a month or so… basically ever since the weather started to change. she agreed that it’s probably sinus pressure, since my sinuses were inflamed (as usual), and she gave a decongestant and nasal spray. should probably take both of those actually. when I got home from that, I actually worked out, which I REALLY need to be doing a LOT more. when Matt’s not around, it’s harder for me to 1) motivate myself to exercise, and 2) eat healthfully. when there are two of us eating dinner, it makes sense to cook. when it’s just me, it’s easier to go to Wendy’s or Subway or make some Ramen noodles or an omelet or something. sure, there are healthy options, but I also have this hang up when it comes to denying myself good-tasting food. it’s a nasty combination of laziness and a love of carbs and sodium and other good-tasting things. well, anyway, I DID work out today, and now I ought to shower and have dinner.